If you have a related article that you would like to see on this page please Contact Us. A US woman is suing Hewlett Packard (HP), saying its printer ink cartridges are secretly programmed to expire on a certain date. The unnamed woman from Georgia says that a chip inside the cartridge tells the printer that it needs re-filling even when it does not. The lawsuit seeks to represent anyone in the US who has purchased an HP inkjet printer since February 2001. HP, the world's biggest printer firm, declined to comment on the lawsuit. HP ink cartridges use a chip technology to sense when they are low on ink and advise the user to make a change. But the suit claims the chips also shut down the cartridges at a predetermined date regardless of whether they are empty. "The smart chip is dually engineered to prematurely register ink depletion and to render a cartridge unusable through the use of a built-in expiration date that is not revealed to the consumer," the suit said. The lawsuit is asking for restitution, damages and other compensation. The cost of printer cartridges has been a contentious issue in Europe for the last 18 months. The price of inkjet printers has come down to as little as £34 but it could cost up to £1,700 in running costs over an 18-month period due to cartridge, a study by Computeractive Magazine revealed last year. The inkjet printer market has been the subject of an investigation by the UK's Office of Fair Trading (OFT), which concluded in a 2002 report that retailers and manufacturers needed to make pricing more transparent for consumers. A cheap printer could turn out to be a costly buy due to the cost of replacing the ink cartridge, a survey has found. The price of inkjet printers has come down to as little as £34 but it could cost up to £1,700 in running costs over an 18-month period, a study by Computeractive Magazine has revealed. Consumers are at risk of being ripped off, said editor Dylan Armbrust. "Replacement cartridges may cost as much or more than the cost of the printer," he said. The inkjet printer market has been the subject of an investigation by the Office of Fair Trading (OFT), which concluded in a 2002 report that retailers and manufacturers needed to make pricing more transparent for consumers. "Well over a year later our results suggest that consumers are still at serious risk of being ripped off," said Mr Armbrust. The Computeractive investigation looked at printers from the big four manufacturers, Canon, Epson, HP and Lexmark. The average life of a black ink and colour cartridge was calculated, as was the cost per page of printing. The cost of the ink was a big factor in driving costs up. 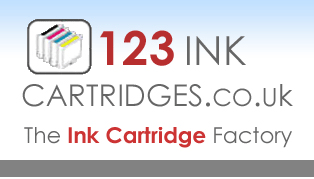 Ink cartridges vary in both price and the amount of time they last, from manufacturer to manufacturer. Responding to the survey, Lexmark said the research was flawed because it did not compare like with like. "We estimate people will purchase around two cartridges per year. Customers who want to print a large amount should quite rightly look beyond just the ticket price," said a statement from the firm. Canon said it could not comment on the survey because it had not seen it, but added that the cost of printers and cartridges reflected the amount of money the company spent on research and development. Last summer a report by Which? Magazine found that some printer ink cost more per millilitre than vintage champagne. It recommended people use generic cartridges which are often half the price of branded products. Consumers are getting a raw deal when it comes to the ink used in printers, according to research by Which? magazine. With the top brand names costing more than vintage champagne, it is an unnecessary waste that people can ill afford, said the campaigning magazine. Tests on a crop of colour printers found that many gave premature warnings that the cartridges were running out of ink. Which? is also critical of the overall cost of printer ink. It says some cartridges cost over seven times more than vintage champagne per millilitre. It recommends that people buy generic cartridges which are often half the price of branded products. The magazine suggests that people squeeze every drop out of the ink they use, ignoring the premature warnings that the ink is low and continuing until they see a drop in quality of printing. Most cartridges give people the option of continuing printing. But Which? found that Epson embeds a chip which stops the cartridge running when the ink runs low. The company says that it employs the cut-off system to "protect customers from accidentally damaging their printer or producing sub-standard print quality". A Which? researcher who over-rode the system found that in one case he could print up to 38% more good quality pages, even though the chip stated that the cartridge was empty. The least amount of extra pages that could be printed was 17%. The cost of ink has been the subject of an Office of Fair Trading investigation. It has accused manufacturers of a lack of transparency about the price of ink and called for an industry standard for measuring ink cartridge performance.